Iran: Countries of the World. ABDO Publishing, 2012. This book is one in a series on countries around the world. 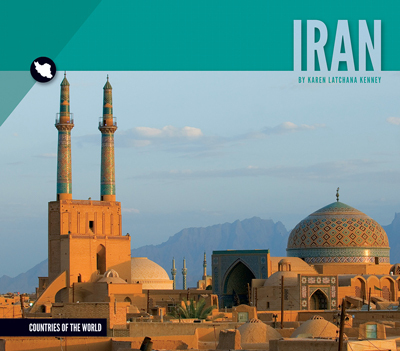 It explores Iran, its landscape including the Elburz and Zagros Mountains, it flora and fauna such as the Asiatic cheetah, Islamic tradition, and much more. This colorful, informative book introduces Iran’s history, geography, culture, climate, government, economy, and other important features.